Christmas time leaves me feeling a bit frazzled. I always seem to leave Christmas shopping and gifts until the last minute and end up stressing about them way more than is necessary. A few days ago it dawned on me that Christmas is not far away and that I hadn't bought or made any gifts yet. I panicked and started running around to stores and ordering things from Amazon like a wild woman. The last few days I have been so caught up in the ensuing adrenaline rush of getting packages in the mail (really, that is almost down right addictive) and making picture perfect Christmas plans, that I feel like the holiday season is slipping through my fingers. Last night I realized that I haven't, not even once in the whole two weeks we've had our Christmas tree up, slowed down enough to just sit in the dark and stare at it's beautiful lights. I haven't sung one spontaneous Christmas carol (though Asher and I did have a great dance party to "Go Tell it on the Mountain") and I haven't, for more than a moment, thought about the miracle of Christ's birth. part" when it comes to Christmas celebrations. I still very much enjoy the gift giving and family holiday traditions, they are important to me, but I am not going to let those things start"cumbering me". I have promised myself that this year I will spend less time thinking of what gift to give those I love and instead be more present with them (no pun intended... really). A promise that I will spend more time on my knees and in my scriptures than I do shopping or ordering things online. A promise that I will take time every day to slow down and be still; to sing Christmas hymns in the dark to my babies, snuggle on the couch with my husband, and admire the Christmas tree lights. A promise to drink a cup of hot apple cider very slowly and watch the squirrels run around my yard, to brave the cold and play in the snow, to not let the bell ringer at the grocery store's bucket go empty, and to visit those who might be lonely or sad. Most importantly, a promise to make time to ponder about-- and express my gratitude for-- the immeasurably divine gift of a Savior. I am setting aside the MARTHA Stewart sort of Christmas and am aiming for a MARY sort of Christmas this year. What do you do to keep Christmas focused on Christ? I loved this I feel so much more teachable at Christmas time when I am still. This season offers so much knowledge and an added measure of the spirit if we settle down enough to let it sink in. Thanks Heather! Great analogy! I love it. Thanks for the reminder. I'm so stuck in MARTHA. Ugh. Thank you for the beautiful insight. I enjoy our Christmas celebrations and welcome the invitation to share! I start early. I normally start planning gifts in July. November first I plan our December devotionals. I'm loving it this year because it is so simple. We put up the tree and our (over a dozen) nativities right after Thanksgiving and with it we hung 24 candy canes with hymn numbers stuck to them. Each evening my little one asks for a candy cane and we sing the Christmas song that comes with it. The candy cane is the insurance that the devotional gets remembered. :) Presents are bought early. Decorations are hung early. 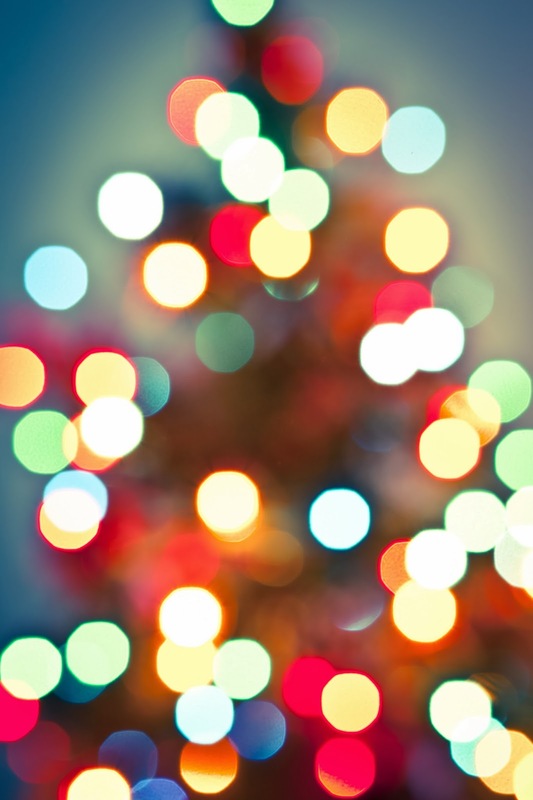 Devotional is planned early and that leaves an entire month of soaking up the Christmas spirit. Also, once Christmas comes, we do it slow. We don't do Santa. Our little gets three gifts over three days. 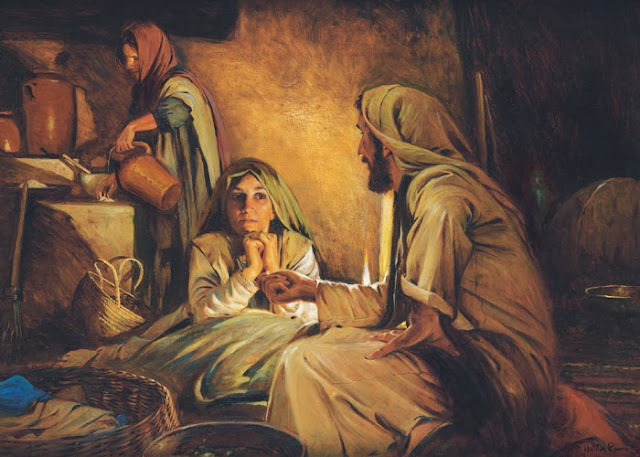 We remind her that that is how many gifts Christ was given. Spreading it out makes it so there is no high and the subsequent crash on Christmas morning. It also spreads out the trash and makes it harder for the itty bitty things to get lost. It also gives her time to enjoy her gifts instead of being overwhelmed. I love my Savior and I love being able to have an entire month dedicated to Him! I used to feel very Martha-like during Christmas and long for more rest and time to just contemplate the Savior. But then I realized that the best way to honor the Savior is to be about His business. When I thoughtfully select gifts for those I love, I am doing His work because I am bringing joy to someone else. Likewise, when I bake for my friends and neighbors and do service for the needy and prepare musical numbers for church and cook for my family, when I do all the things that keep me very busy (sometimes overwhelmingly so) at Christmas time, I am doing the Savior's work. The Savior Himself was busy all the time. Even when His disciples tried to shield Him and give Him a little rest, He instead served the little children. I think it's important to remember to slow down and remember the real reason for the season. To be more like Mary. But at the same time I really enjoy preparing for Christmas! I love baking the goodies, wrapping the gifts, and decorating. Sometimes I think Martha gets a bad rap! The scriptures don't say that Mary chose the "better" part... just "that good part". We need the balance of Mary and Martha in our life. Being Martha and getting everything prepped is really important to make events memorable... but if we don't stop and listen and enjoy the season then it's all for naught. I think that we can go about preparing for the holiday and still choose "that good part." Ooh good catch! You are right I had it wrong. How interesting that in my mind it has always been the better part! That is insightful to me. Thanks for the catch, I will change it!